"All I do is think and blink." 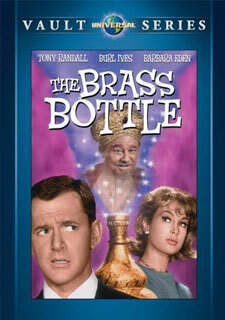 Barbara Eden co-starred in the film "The Brass Bottle" (1964) which would inspire Sidney Sheldon in the creation of "I Dream of Jeannie" in 1965. 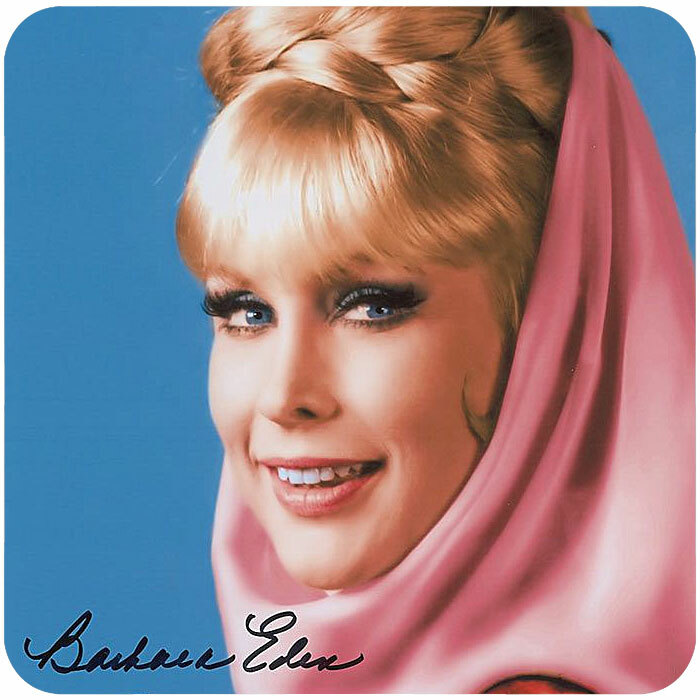 Barbara Eden (born August 23rd, 1931) is an American film, stage, and television actress and singer. 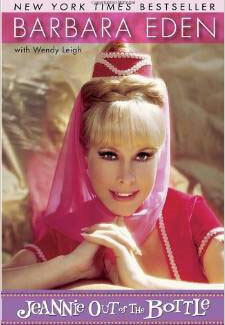 She is best known for her starring role of "Jeannie" in the sitcom I Dream of Jeannie. Eden was born Barbara Jean Morehead in Tucson, Arizona, the daughter of Alice Mary (née Franklin) and Hubert Henry Morehead. Her parents divorced when she was three; she and her mother, Alice, moved to San Francisco, where later her mother married Harrison Connor Huffman, a telephone lineman. The Great Depression deeply affected the Huffman family, and as they were unable to afford many luxuries, Barbara's mother entertained the children by singing songs. This musical background left a lasting impression on the actress, who began taking acting classes because she felt it might help her improve her singing. Her first public performance was singing in the church choir, where she sang the solos. When she was 14 she sang in local bands for $10 a night in night clubs. At age 16, she became a member of Actor's Equity. She studied singing at the San Francisco Conservatory of Music and acting with the Elizabeth Holloway School of Theatre. She graduated from Abraham Lincoln High School in San Francisco in the Spring Class of 1949 and studied theater for one year at City College of San Francisco. 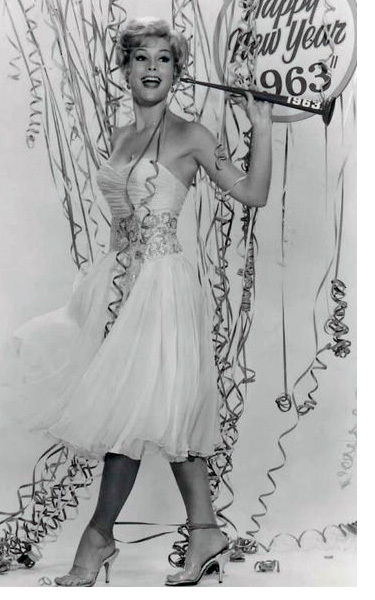 She was then elected Miss San Francisco, as Barbara Huffman, in 1951. Barbara also entered the Miss California pageant, but did not win. 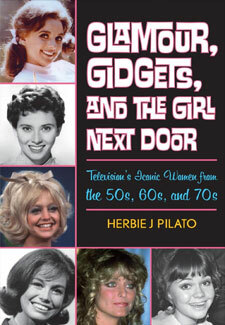 As a young actress Eden made featured appearances on television shows such as The Tonight Show Starring Johnny Carson (as "Barbara Morehead" and "Barbara Huffman"), The West Point Story, Highway Patrol, Private Secretary, I Love Lucy, The Millionaire, Target: The Corruptors!, Crossroads, Gunsmoke, December Bride, Perry Mason, Bachelor Father, Father Knows Best, Adventures in Paradise, The Andy Griffith Show (above right), Cain's Hundred, Saints and Sinners, The Virginian, Slattery's People, The Rogues, and the series finale of Route 66 playing the role of Margo. 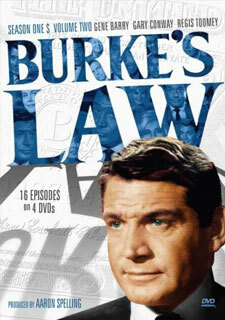 She guest-starred in four episodes of Burke's Law, playing different roles each time. She was an uncredited extra in the movie The Tarnished Angels with Rock Hudson, in partnership with 20th Century Fox studios. 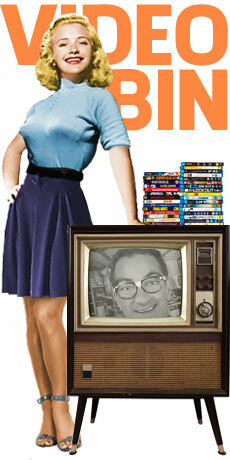 She then starred in the syndicated comedy TV series How to Marry a Millionaire. 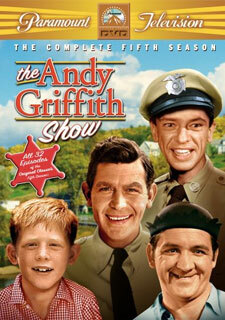 The show was based on the film of the same name. 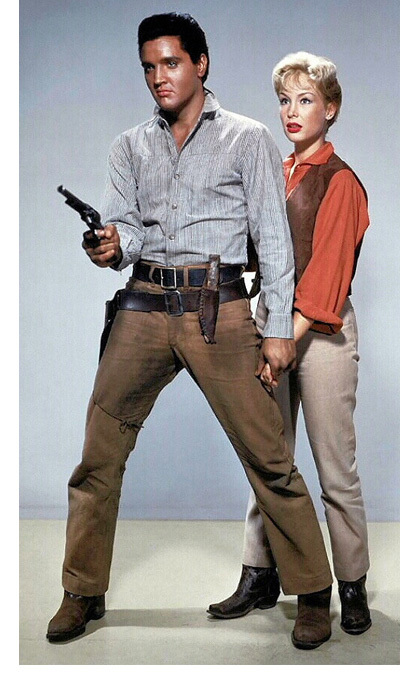 Discovery in the Hollywood sense came when she starred in a play with James Drury. Film director Mark Robson, who later directed her in the movie From the Terrace, had come to the play and wanted her for 20th Century Fox studios. Her screen test was the Joanne Woodward role in No Down Payment. Though she did not get the role, the studio gave her a contract. 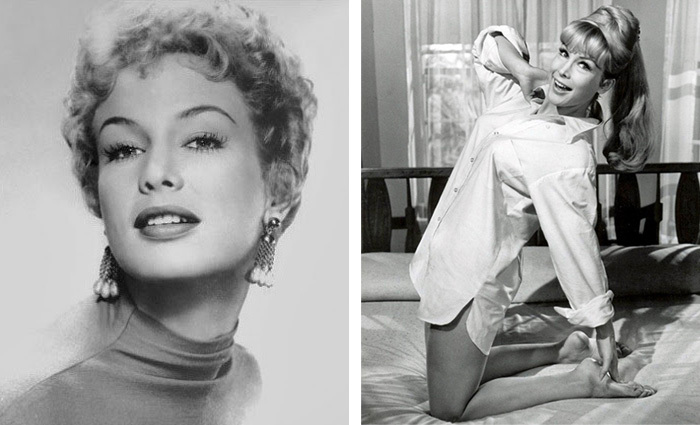 Eden did a screen test for the role of Betty Anderson in the 1957 film version of Peyton Place, though Terry Moore got the role. 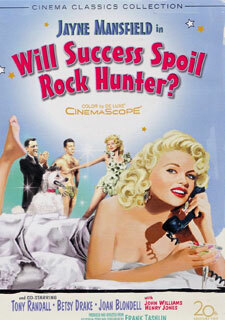 She had minor roles in Bailout At 43,000, Will Success Spoil Rock Hunter? and The Wayward Girl, and then became a leading lady in films and starred opposite Gary Crosby, Barry Coe, and Sal Mineo in A Private's Affair, and had a co-starring role in Flaming Star (1960), with Elvis Presley. The following year, she played in a supporting role as Lt. Cathy Connors in Irwin Allen's Voyage to the Bottom of the Sea (pictured above giving co-star and real-life husband Michael Ansara a tense look). She starred in The Wonderful World of the Brothers Grimm, a George Pal-directed Cinerama film for MGM, and another Irwin Allen production for 20th Century Fox Five Weeks in a Balloon (1962). Eden was also the female lead in the 1962 20th Century Fox comedy Swingin' Along, starring the comedy team of Tommy Noonan and Peter Marshall, in their final joint screen appearance. 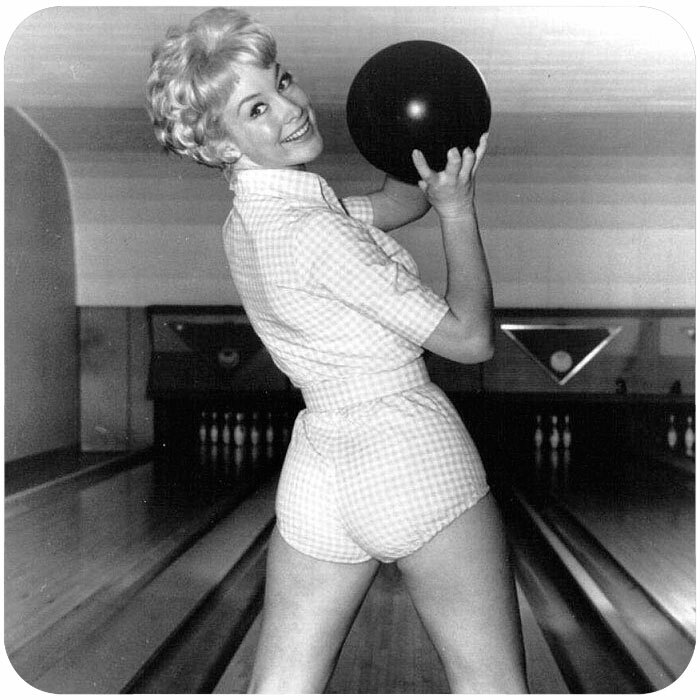 She did a screen test with Andy Williams for the 20th Century Fox movie State Fair, but didn't get the role. Her last film for 20th Century Fox was The Yellow Canary (1963). She left Fox studios (due to budget cuts) and began guest-starring in shows such as Saints And Sinners, also acting in films for MGM, Universal, and Columbia. She played supporting roles over the next few years, including The Brass Bottle, and 7 Faces of Dr. Lao, both with Tony Randall. 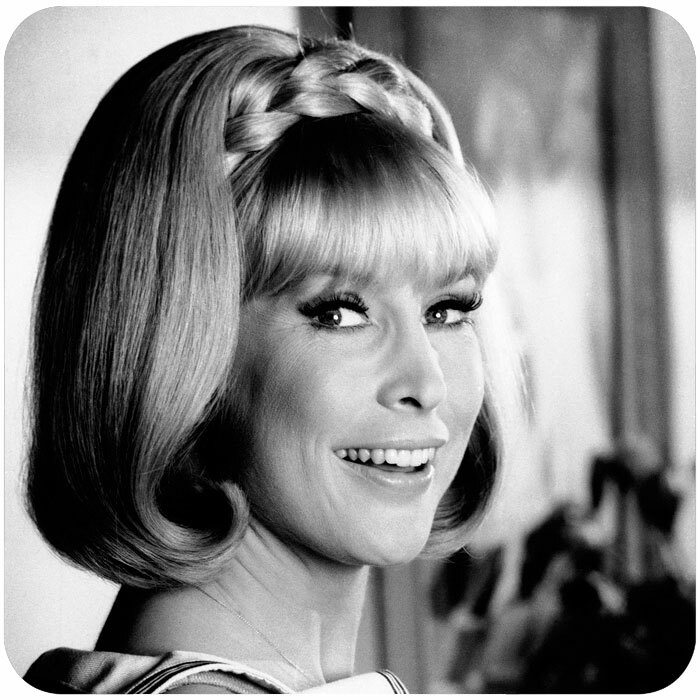 In 1965 she signed a contract with Sidney Sheldon to become "Jeannie," a genie in a bottle rescued by an astronaut in the television sitcom I Dream of Jeannie for NBC-TV. She played this role for five years and 139 episodes. 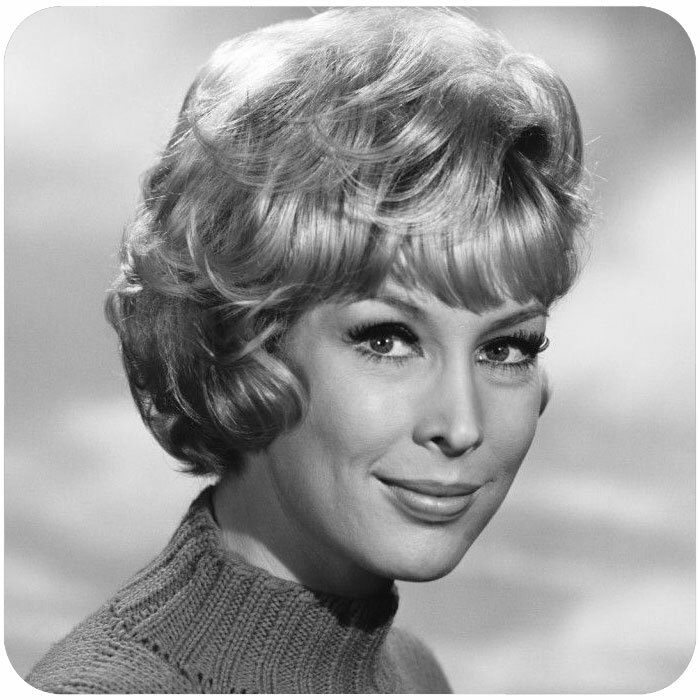 Eden also played Jeannie's sister in eight episodes and Jeannie's mother in at least one. After various brunette starlets and beauty queens unsuccessfully tried out for the role she was approached by Sheldon who had seen her in The Brass Bottle and had been recommended by various colleagues. Eden played Jeannie, a beautiful genie set free from her bottle by astronaut and United States Air Force captain (later major) Anthony Nelson, played by Larry Hagman. Bill Daily played Nelson's best friend and fellow astronaut Roger Healey. Hagman would go on to play ruthless oil baron J. R. Ewing in the 1980s prime time television soap opera Dallas, while Daily donned another uniform as a commercial airline navigator and later a co-pilot, as Howard Borden on The Bob Newhart Show. On The Bob Newhart Show 19th Anniversary reunion show in 1991, the show's characters analyzed Bob's dream from the Newhart finale, where that show ended with Bob waking up in bed with Suzanne Pleshette, his wife from the Bob Newhart Show. At one point Howard recalled, "I had a dream like that once. I dreamed I was an astronaut in Florida for five years," as scenes from I Dream of Jeannie featuring Bill Daily as Roger Healey were shown. Hoped to be a blockbuster like its rival-show Bewitched, I Dream of Jeannie was only a mild ratings success, topping off its first year at #27, tying with Lassie. The series spent its second, third, and fifth seasons out of the top thirty programs. Season four proved to be the sitcom's most successful year, ending at #26. 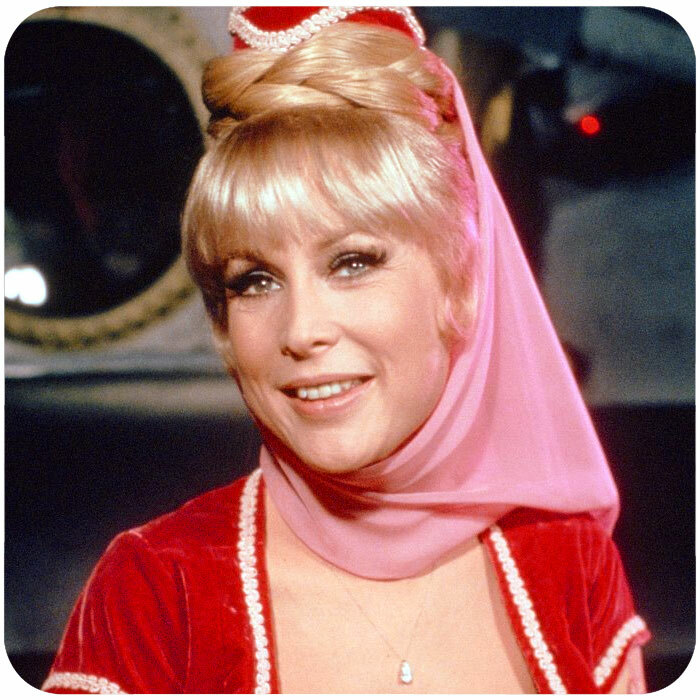 In the series, Eden wore her trademark "Jeannie Costume", a costume that was designed by Gwen Wakeling with the colors pink and red chosen by Eden. During the second season reporters visiting the set would joke that Eden had no navel as it was almost never visible when in costume. 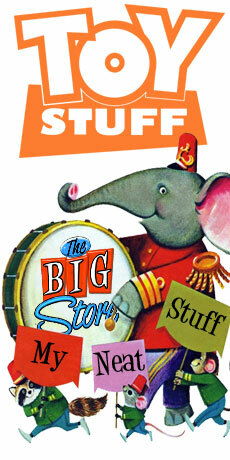 The story picked up momentum and as it did the network censors began to insist that her navel remain hidden. In the fourth season George Schlatter the creator of Rowan & Martin's Laugh-In expressed a desire to premiere Eden's navel on his show. As soon as his intentions were revealed the network held a meeting of executives to discuss his idea and it was deemed inappropriate to do so. However, her navel is glimpsed in a few season four and season five episodes, much to the dislike of the censors. After four years of dating, Jeannie and Anthony got married in the show's fifth season, a decision that was forced by the network. 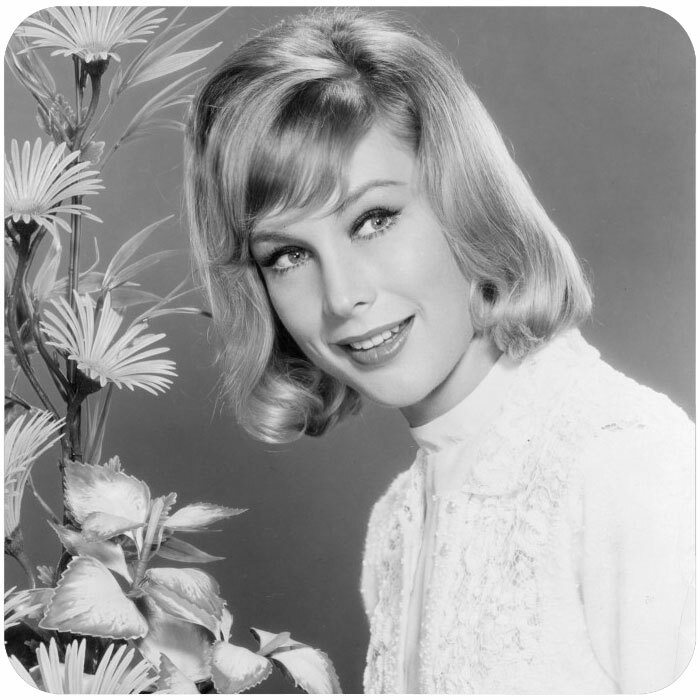 Eden complained to the network about the two marrying, claiming that this change in the plotline would take away from the show's humor and the sexual tension between Jeannie and Anthony. However, even after the change, the network had grown tired of the series by the end of the 1969-1970 television season and canceled the show after five seasons and 139 episodes. 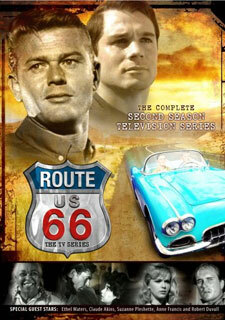 The series became hugely popular during decades of syndication and has had two spin-off reunion movies. The first, I Dream of Jeannie: 15 Years Later a 1985 television movie (left), starred all the original cast excluding Larry Hagman, who was unavailable due to the shooting schedule of his then-current series, "Dallas". The role of Anthony Nelson was played by Wayne Rogers for this film only. The second television spin-off movie of the series aired in 1991 and was called I Still Dream of Jeannie, in which Hagman was still absent, Anthony Nelson doesn't appear in this film at all. There was talk of a third I Dream of Jeannie movie but, with the death of Larry Hagman, no projects have been cast or even written. 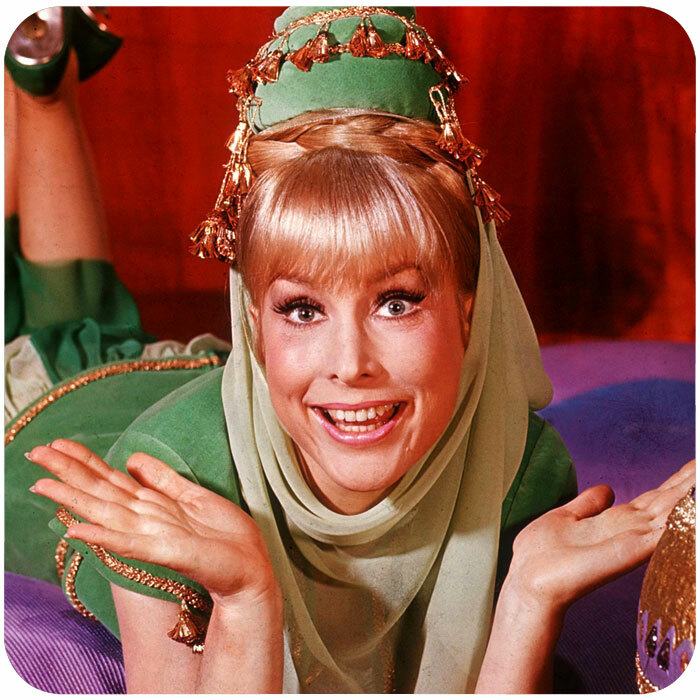 After I Dream of Jeannie ended Eden did an unaired pilot, The Barbara Eden Show, and another pilot, The Toy Game. She also began starring in and sometimes producing a string of successful made-for-TV movies, making at least one a year for one of the networks. They were all top-rated. 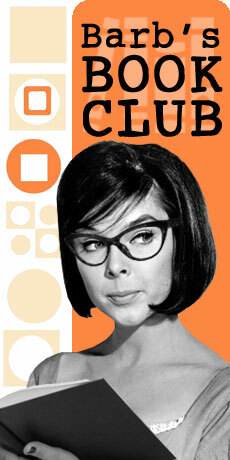 Her first TV movie was called The Feminist And The Fuzz. 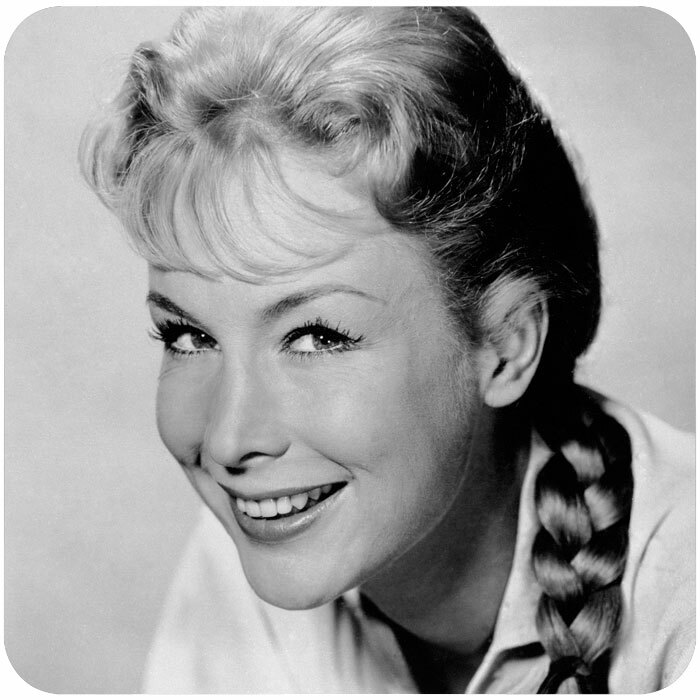 Although she is best known for comedy, most of these films were dramas, as when she starred with her "Jeannie" co-star Larry Hagman in A Howling in the Woods (1971). She starred in The Woman Hunter (1972) with Robert Vaughn (of The Man From U.N.C.L.E. 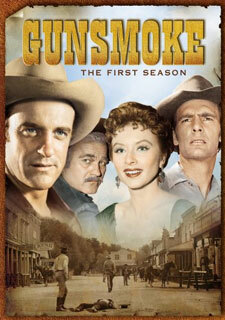 ), an earlier costar from and episode of Gunsmoke. In The Stranger Within (1974), Eden plays unwitting housewife Ann Collins, who becomes one of many earthling women who are impregnated by extraterrestrials. Like the mother-to-be in Rosemary's Baby, Ann develops unusual prenatal cravings (in this case, coffee grounds, massive amounts of salt, and blood-rare meat). 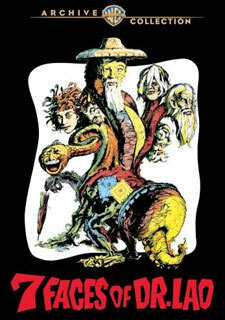 The screenplay was written by Richard Matheson and directed by Lee Philips. In 1977 Barbara Eden played Liz Stonestreet, a ex- policewoman turned private detective who investigates the disappearance of a missing heiress, in a critically acclaimed TV movie Stonestreet: Who Killed The Centerfold Model?. She played Lee Rawlins, a woman who worked at a department store, in the ABC TV movie The Girls in The Office (1979), and starred in and co-produced with her own production company (MI-Bar Productions) the NBC TV movie romantic comedy The Secret Life of Kathy McCormick (1988), about "a simple grocery clerk, who finds her way into her local high society and the life of a wealthy suitor who thinks she's a stockbroker." In addition, she starred in and produced the romantic comedy TV movie Opposites Attract (1990), co-starring John Forsythe, their first joint screen appearance since her guest-starring role in a 1957 episode of his Bachelor Father TV series. Eden continued to appear regularly on stage, starring in the play Blithe Spirit, and in television specials like Telly...Who Loves Ya Baby? with Telly Savalas, and The Best of Everything with Hal Linden and Dorothy Loudon. 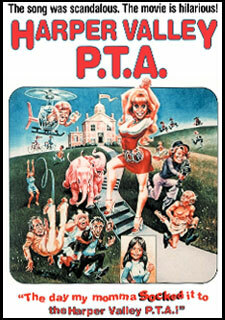 In 1978, she had starred in the feature film Harper Valley PTA, based on the popular country song. This led to a namesake television series in 1981; in both the movie and the TV series, she played the show's heroine, Stella Johnson. The show won 11 of its 13 time slots during its first season. It was a comedy version of Peyton Place with Anne Francine playing wealthy villain Flora Simpson Reilly. In one episode Stella dressed in a blue and gold genie costume and in another she played both Stella and her cousin Della Smith (similar to Jeannie's evil twin-sister character). The show Harper Valley PTA began January 16th, 1981, and was renamed simply Harper Valley when the show began its second season on October 29th, 1981. The show ran until August 14th, 1982, producing 29 episodes for NBC and Universal MCA, which were rerun in 2000 by TV Land. From April 3rd through September 16th, 1984, Eden starred in the Lee Guber and Shelly Gross national production of the John Kander and Fred Ebb Tony Award-winning musical comedy Woman Of The Year, playing the role of Tess Harding Craig, alongside Don Chastain (as Sam Craig), and Marilyn Cooper (as Jan Donovan, reprising her Tony Award-winning role on Broadway). In 1990, Eden had a recurring role of a billionairess seeking revenge against J. R. Ewing in five episodes of the final season of Dallas, playing the captivating character Lee Ann De La Vega, reuniting her with her I Dream of Jeannie costar Hagman. 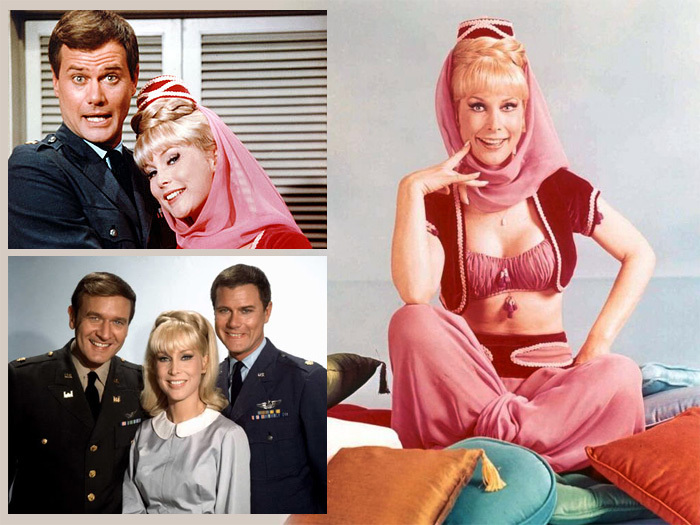 In her final episode, the character admits that her maiden name was "Lee Ann Nelson", which was a production gag, as "Nelson" was the surname of Hagman's character, and Eden's character's married name, in I Dream of Jeannie. In 1991, she starred in the stage play Same Time, Next Year with Wayne Rogers, and reprised her role of Jeannie in a television movie of the week. 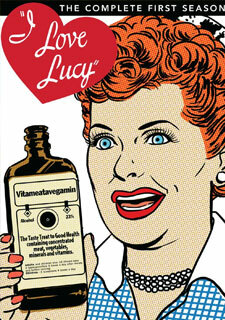 In 1993, she starred in an 11 city national tour of the play Last of the Red Hot Lovers with Don Knotts. She also made three guest appearances in the last few seasons of Sabrina, the Teenage Witch as the evil family matriarch, Great Aunt Irma. 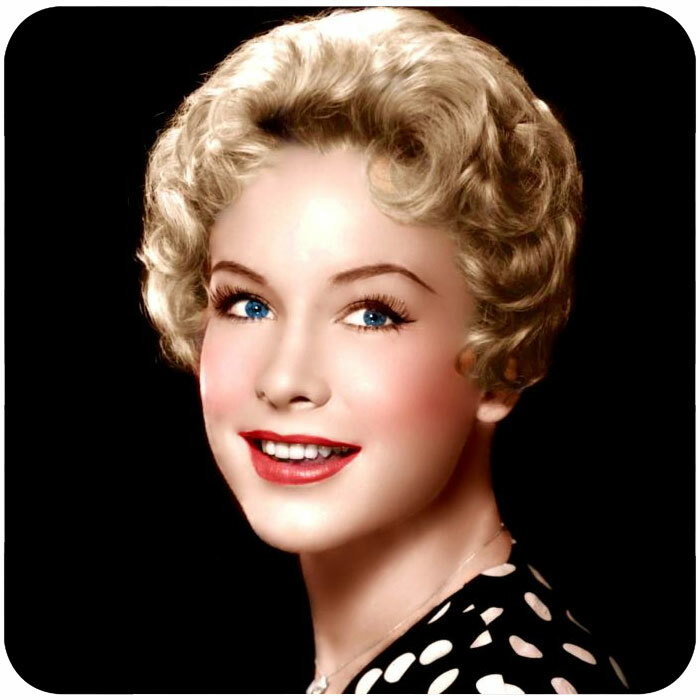 Eden has starred in such musical comedies as Nite Club Confidential (playing the role of Kay Goodman, in 1996), The Sound Of Music, Annie Get Your Gun, South Pacific with Robert Goulet, The Pajama Game with John Raitt, and Gentlemen Prefer Blondes playing Lorelei Lee. She has been a musical guest star in many variety television shows, including 21 Bob Hope specials, The Carol Burnett Show, The Jonathan Winters Show, The Jerry Lewis Show, This is Tom Jones show, Tony Orlando and Dawn, and Donny and Marie. 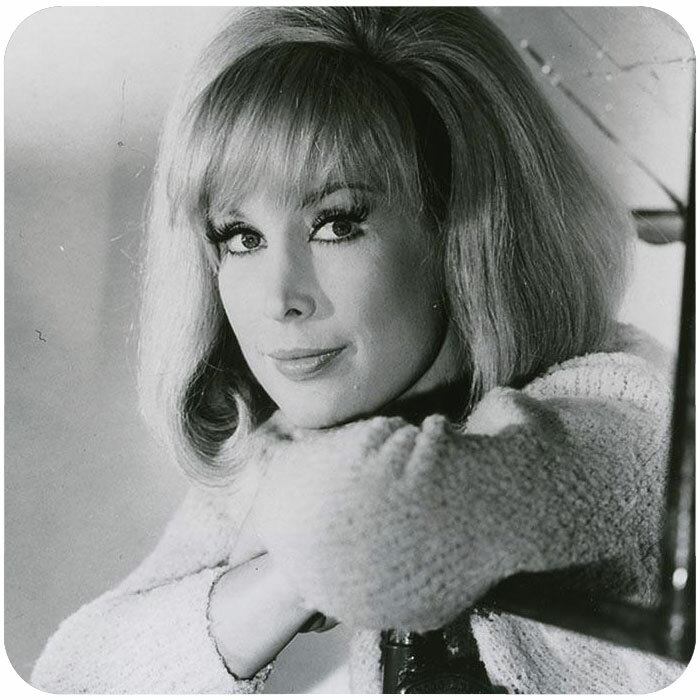 She released an album entitled Miss Barbara Eden in 1967, for the record label Dot Records. She recorded three songs in 1978 for the Harper Valley P.T.A. Soundtrack. She received an honorary Doctor of Laws degree in the spring of 1990 from the University of West Los Angeles School of Law. On November 17th, 1988, she received a star on the Hollywood Walk of Fame sidewalk for her contributions to television at 2003 Hollywood Boulevard. From 2000 until 2004, Eden starred in the national touring production of the play, The Odd Couple ... The Female Version, playing the role of Florence Unger opposite Rita MacKenzie as Olive Madison. In March 2006, Eden reunited with her former I Dream Of Jeannie costar Larry Hagman for a publicity tour in New York City to promote the first season DVD of I Dream of Jeannie. They appeared together on such shows as Good Morning America, The View, Martha, Access Hollywood, Entertainment Tonight, and Showbiz Tonight. In March 2006, Hagman and Eden also reunited, this time onstage in New York, for Love Letters at the College of Staten Island and at the United States Military Academy in West Point, New York. This was Eden's first visit to the Academy since appearing in The West Point Story in 1956. Eden's most recent work was starring in the play Love Letters with Hal Linden, and a guest-starring role on the Lifetime series Army Wives, written and produced by her niece, Katherine Fugate, the TV Movie Always and Forever for the Hallmark Channel (2009) and hosting the national touring production of Ballroom With a Twist, a live theater show from Louis van Amstel of Dancing with the Stars. 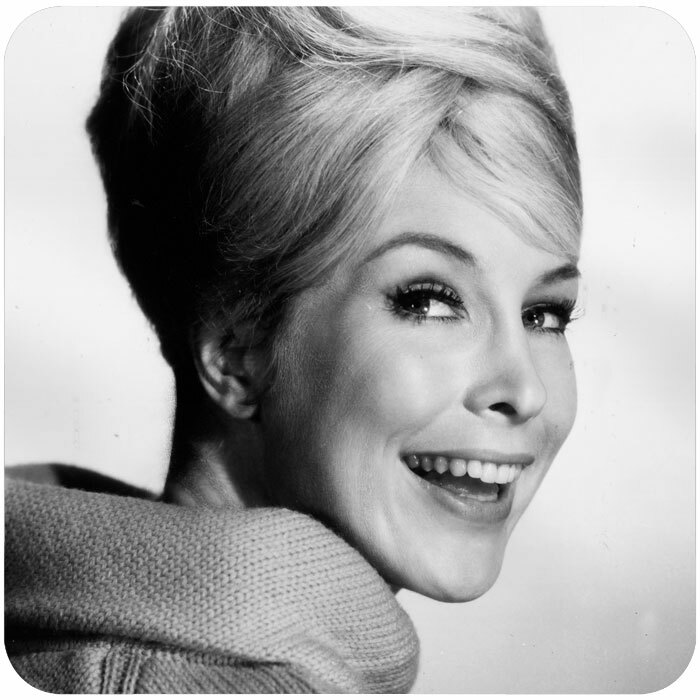 In late 2013, Barbara Eden was cast in the movie "One Song," which filmed in Excelsior, Minnesota. In May 2013, Barbara appeared with former American President Bill Clinton, Sir Elton John, and Fergie at the opening ceremony of the 21st Life Ball in Vienna, where Barbara wore her famous Jeannie harem costume (below left). Barbara wrote a memoir, Jeannie Out of the Bottle, which was released on April 5th, 2011 by Crown Archetype, a division of Random House. 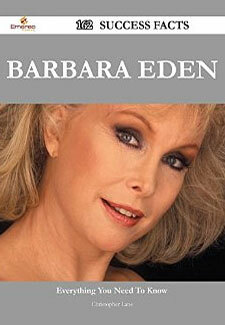 Chronicling Eden's personal life and Hollywood career of more than 50 years, the book debuted at #14 on the New York Times Best Seller List. 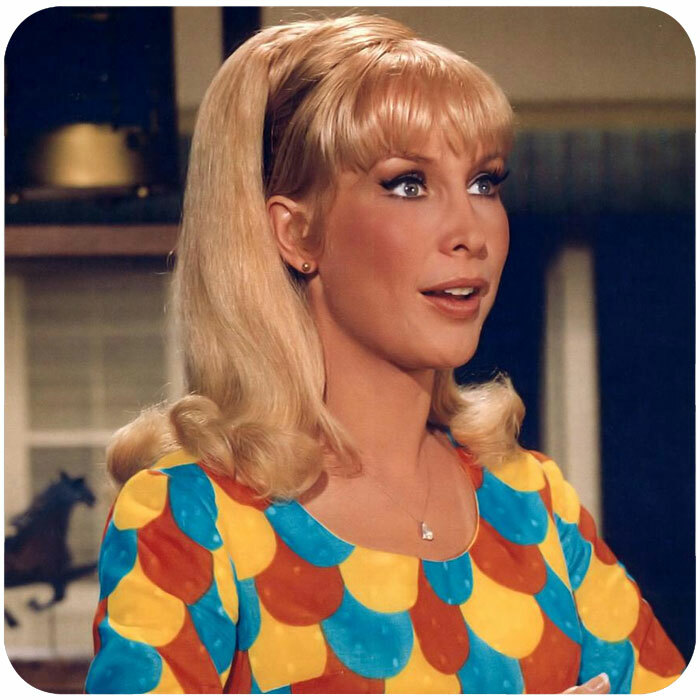 "Jeannie Out of the Bottle" includes intimate details about Barbara's early childhood, her rise to popularity in her teens and early twenties, her costars over the years, as well as Eden's work leading up to and during I Dream of Jeannie. Also covered are her three marriages (to Michael Ansara from 1958 to 1974, Charles Fegert from 1977 to 1982, and Jon Eicholtz from 1991 to the present) and her "emotional breakdown" following the death of her only child, Matthew Ansara, from a drug overdose.